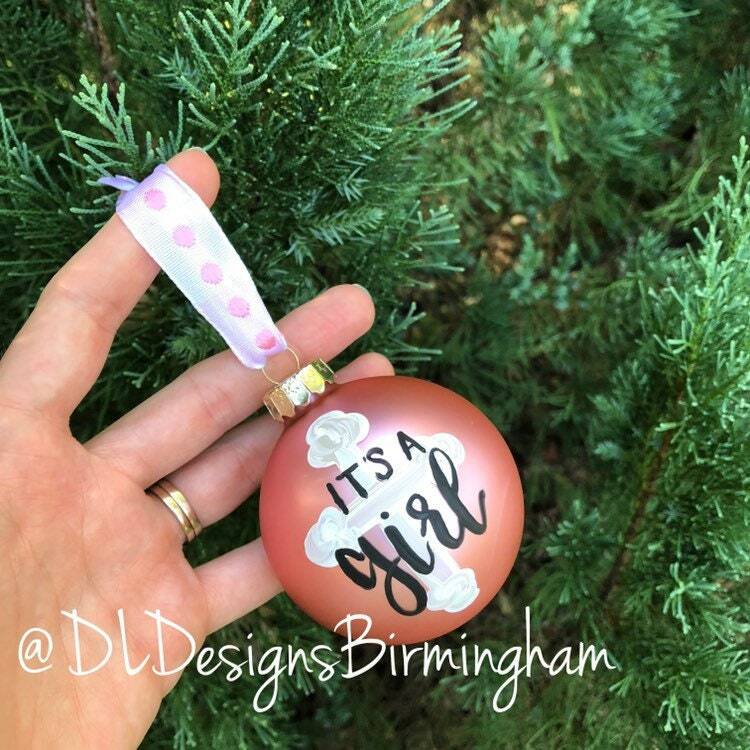 Simple and sweet cross ornament in matte pink, shiny pink, or baby blue. 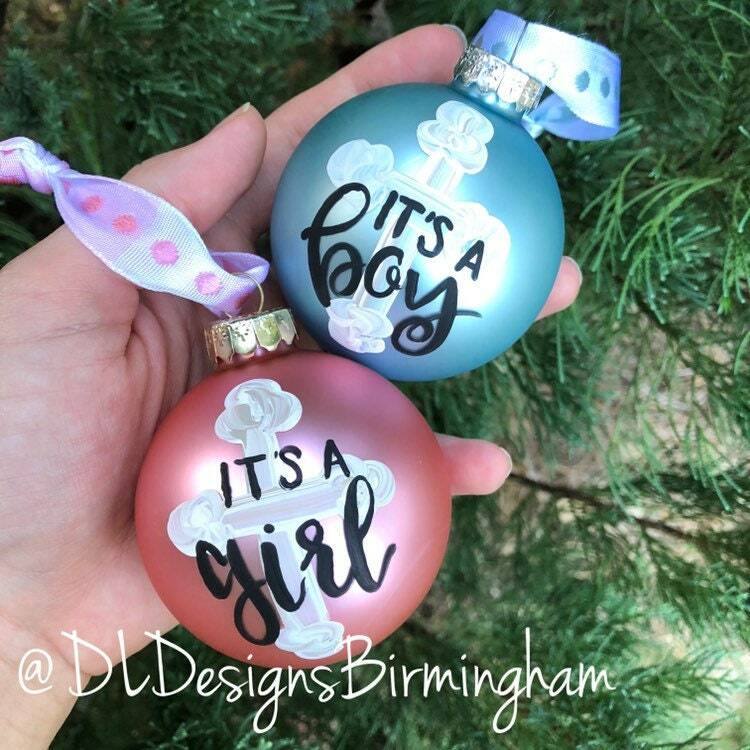 All painting is done by hand. 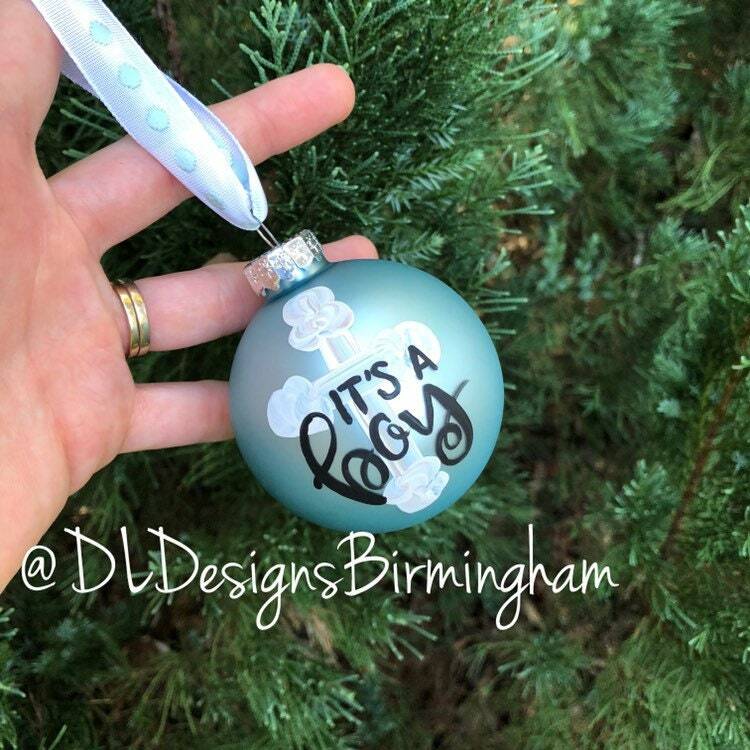 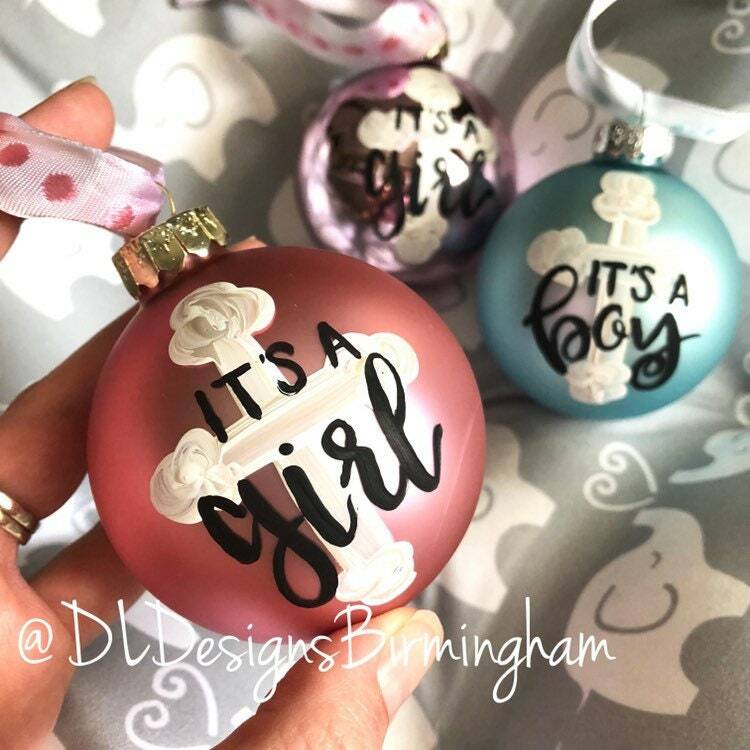 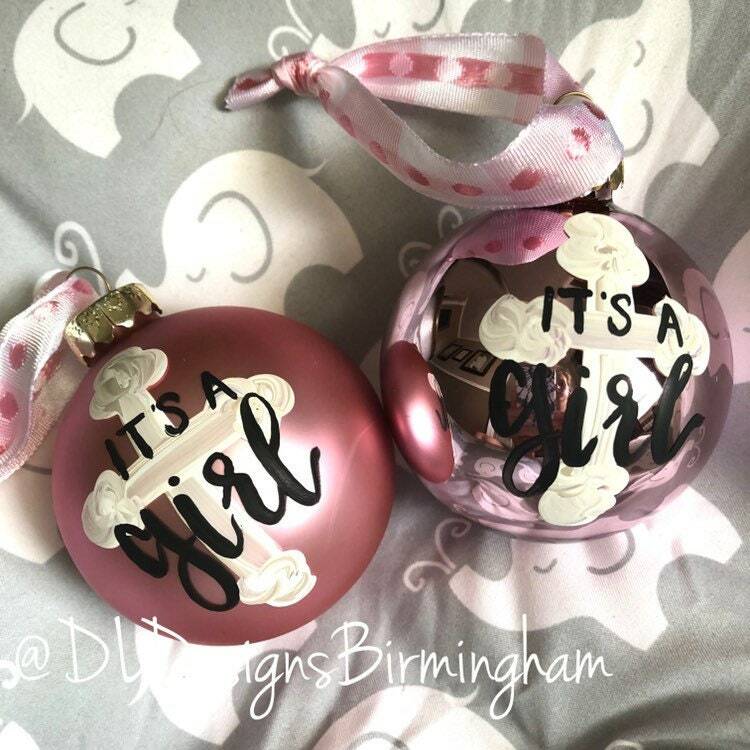 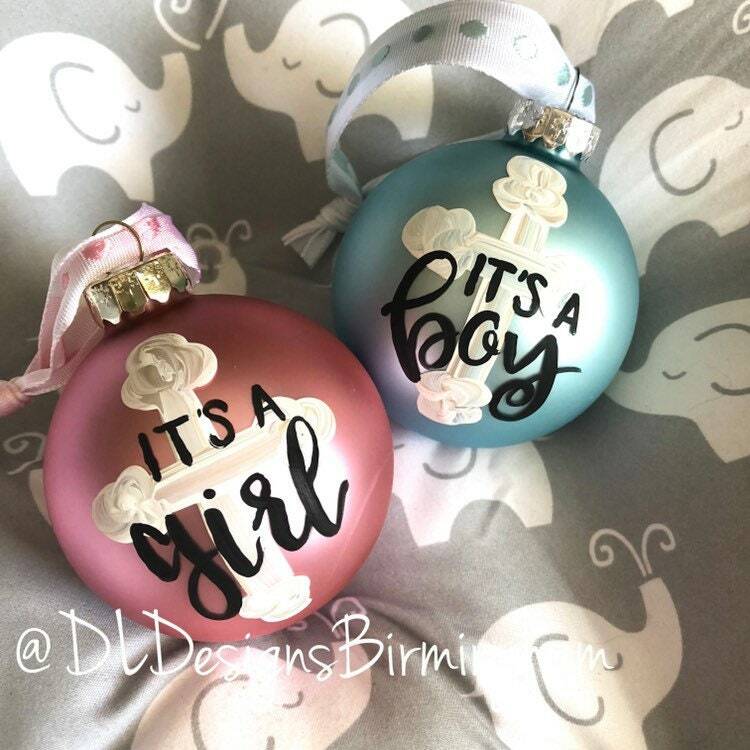 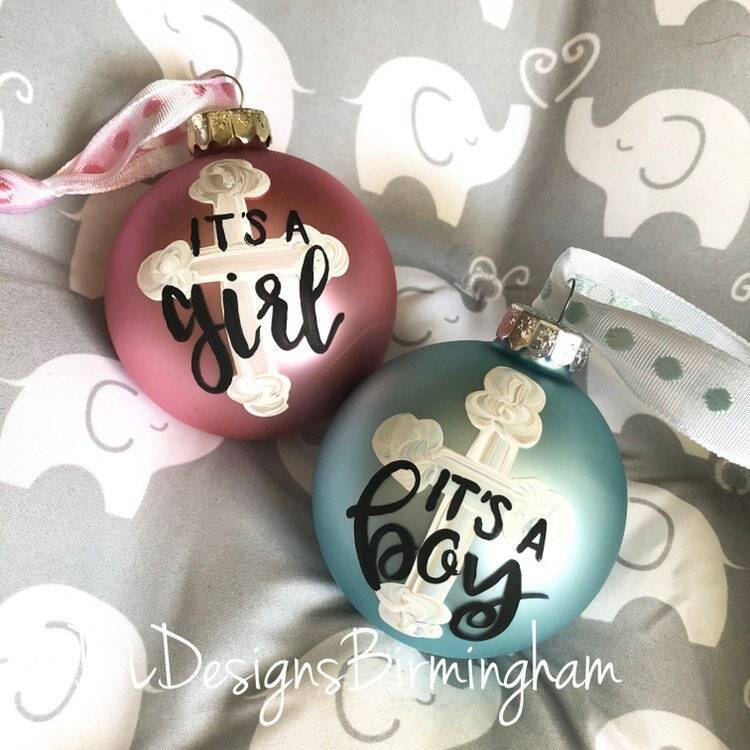 Perfect ornament for any expecting mom or baptism gift.